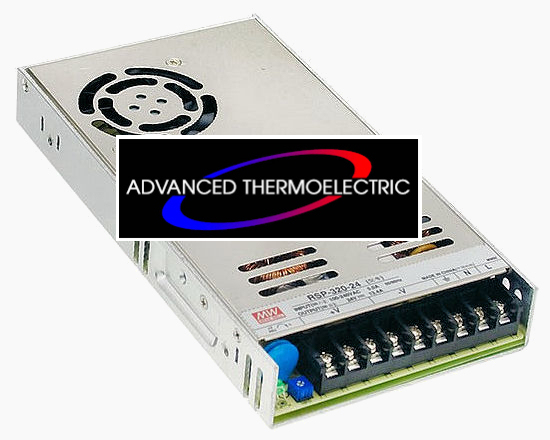 The RSP-320 Series consist of 320 Watt, low profile (30mm), enclosed type, 1U switching power supplies with universal (works world-wide) AC input and an active PFC function. By reducing from the height from the original SP-320 series (50mm→30mm), RSP-320 are 40% smaller in size and 1~9% more efficient. The -30~+70 °C operating temperature range is also wider than the -20~+65 ºC range of the SP-320 series. In order to operate more reliably in humid and dusty environments, the RSP-320 series are available with an optional conformal coating which provides basic protection from moisture and dust by applying a coating material on the PCB. The part number will read “RSP-320-(Voltage) CC.” Contact us for price and lead-time for these. To meet the needs of LED display manufacturers, and others, seeking both a low profile design with low output Voltages, RSP-320 Series is available in 2.5V, 3.3V, 4V, and 5V (60A) models for optimal selection. Built-in functions include fan speed control, protections for short circuit, overload, over voltage and over temperature. Simple ±10% voltage adjustment by easy to reach rheostat on terminal strip allows quick fine-tuning. All versions comply with UL, CUL, TUV, CB, and CE regulations that ensure users' safety. Additionally, RSP-320 is CCC approved (China Compulsory Certification). The RSP-320 Series is available in a wide range of output voltages that include 3.3V, 7.5V, 13.5V, 15V, and 27 Volt. Contact us for price and lead-time for these. The RSP-320 Series is widely used and applications include general industrial control systems, mechanical and electrical equipment, instrumentation, LED displays, or any system that requires a low profile, economical power supply.